Sara Prestianni explains the main steps in the externalisation of the European and Italian policies on migration, and its more serious consequences in terms of violations of fundamental human rights. “Externalisation”, that is, the transfer of border management to third countries, has been the subject of heated discussions following the implementation of the much-criticised readmission agreement between the EU and Turkey. In exchange for 6 billion euro to the Erdogan cabinet, the deal ensured that all those who arrived in Greece “illegally” would be returned to Turkey, thus delegating control of Balkan borders to the Turkish authorities. This has obvious, dramatic repercussions in terms of human rights violations. This is nothing new under the sun, actually. The EU-Turkey deal is only the latest (and certainly not the last) step in a long-running process, which has seen a disturbing acceleration in recent times, that is under pressure from the so-called “refugee crisis”. ARCI has been monitoring this phenomenon independently and has just published an in-depth analysis of the process of externalisation of the European and Italian policies on migration, recapitulating its main stages and highlighting the most serious consequences in terms of systematic violations of fundamental rights. We have spoken with Sara Prestianni, who specializes in international immigration policies and has curated the report on behalf of ARCI Immigrazione. Why is the logic of externalisation a dangerous one? The main thing about the externalisation process is that, within its context, negotiations begin with third countries without first assessing the human rights standards in those places or the way local governments handle immigration issues. We are talking about countries – we might even call them dictatorships – like Sudan, where sitting President Omar al-Bashir has an outstanding arrest warrant issued against him by the International Criminal Court. The only factor that is considered is geopolitical interest, in the sense that negotiations are opened with “key” countries based on their proximity to Europe. Historically, dealing with countries that are of interest to us because of their geographical position, regardless of their respect for human rights, has been a typical element in the practice of externalisation. However, there is also a new element, which is just as dangerous: while funds for development aid have always been used in a strategic way, they have now officially become incentives or penalties for cooperating or failing to cooperate with deportation and repatriation procedures (see the European Commission notification below). Development funds have become a tool for carrying out border control policies in countries of origin and transit, which is obviously and deeply wrong. This approach is underscored by a number of flawed political assumptions, starting with the concept of “aiutiamoli a casa loro” (“Helping them at home”). It is assumed that migration can be prevented by strategically allocating development funds: the fact is that nothing could be further from the truth. This point was well made by the United Nations Special Rapporteur on the human rights of migrants, François Crepau. Numerous studies have shown that development aid does not reduce the number of departures from countries of origin, thus disproving the validity of any reasoning founded on this premise. We must also reject the idea that these policies are justifiable because their stated goal is to reduce the number of deaths at sea, when it is obvious that migrants will continue to take risky journeys and die at sea until safe and legal access channels are guaranteed. 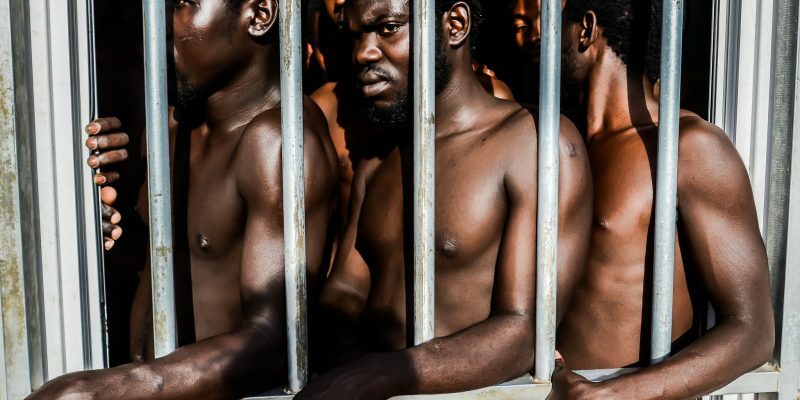 Far from being improved, this situation will be actually be made worse by the externalisation approach, which gives a central role to countries like Eritrea and Libya, where prisoners are subject to systematic murder and torture. One last element that must be highlighted is the perverse logic underlying all these policies: on one hand, there is massive interference in the African continent, with Europe asking to implement control systems in countries that should allow free circulation within the ECOWAS space. On the other hand, negotiations are being conducted with African countries at the expense of hundreds of thousands of people. A notable example is Kenya. Following this transactional logic, since it wasn’t included among the first countries to receive new development funds, Kenya has threatened to close Dadaab, the world’s largest refugee camp. The first European steps in the externalisation strategy in Africa are the Khartoum process, launched in 2014, and the 2015 European Summit in Valletta. What have been the consequences of these two major conferences? Externalisation has been a founding strategy in European policies for a decade now, but only in recent times have we witnessed such an acceleration in these agreements and their consequences, thanks to the deployment “development funds” in the criminalization of migration. This is especially true in Africa, starting with the Khartoum process and the Valletta Summit. Khartoum and Valletta are the two key steps in the shaping of relationships between the EU and Sub-Saharan Africa, following the externalisation policy of border control, which had already been adopted during the Rabat Process. After that, in 2007, the EU had been involved in the management of migration with a few Maghreb countries. Since Khartoum, the logic applied to the control of the Morocco-Spain border has been extended to the Horn of Africa, which has given a newly important role to countries like Eritrea, Sudan and Niger: dictatorships that had been previously excluded from negotiations with the European Union have suddenly become key actors in the management of migration issues. Also, the conditional allocation of development funds has become standard practice. This is in line with the increased political will to stem the flow of migrants to Europe and to facilitate the forced return of those who arrived in Europe “illegally”. The truly significant element of the Valletta Summit is the fact that Trust Funds for Africa were made available (1.8 billion euros) during the negotiations, to be distributed among countries along the Central Mediterranean route: the Sahel region (Libya, Mali and Niger) and the Horn of Africa (Ethiopia, Eritrea, Somalia and Sudan). The Summit has reaffirmed the key role played by repatriation in the policies of migration control. At the same time, this serves to advance the agenda on the creation of hotspots – or rather adopt a “hotspot approach” to facilitate the identification of migrants on arrival and consequently ensure their forced return within a short time frame. The third step in the process was the Migration Compact proposed by Italian PM Matteo Renzi. What are the critical aspects of this document? 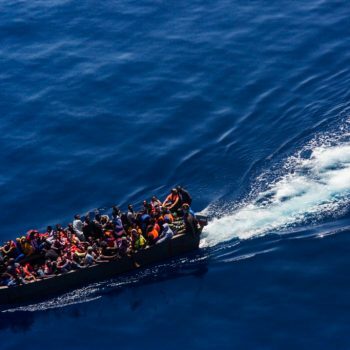 The Migration Compact replicates the model of the much-criticised EU-Turkey deal with the main African countries of origin and transit of migrants along the Central Mediterranean route. Particularly disturbing is the central role played by Italy, which has obviously not learned from its mistakes: the document proposes the continued application (also extended to other countries) of the perverse logic contained in the highly criticised agreement signed with Gaddafi’s regime in Libya in August 2008. The deal was followed by a period of human rights violations, for which Italy was sanctioned by the European Court of Human Rights. A clear sign that Italy has not learned from its mistakes is the fact that the Italian Foreign Affairs Minister Gentiloni even proposed the reactivation of the 2008 treaty during the Italy-Africa Ministerial conference in May 2016. One cannot fail to note how Italy’s interest in maintaining economic relationships with these countries has influenced the discussions. However, Italy’s economic interests in Africa cannot be developed at the expense of the protection of fundamental rights in matters of migration. The four axes of economic interest, security, development and migration, are dangerously combined in conditional and interdependent relationships during negotiations with African countries. These should be kept rigorously separate. The latest step was the notification by the European Commission to the European Parliament, to the Council of Europe and to the European Investment bank on the creation of a new partnership framework with third party countries in relation to the European migration agenda. What are the contents of this document and why is it so problematic? Still taking the infamous EU-Turkey accord as its cue, even though it is now clear that it has produced illegal deportations and systematic violations of asylum rights (not to mention the inhumane, degrading treatment of the 60.000 refugees detained in the Greek reception centres), this document establishes a cooperation framework with the main countries of origin and transit both for the central Mediterranean and the Eastern route. The logic of the Migration Compact is applied to a significantly wider geopolitical context. Besides, the document for the first time formalises the idea of making the provision of billions of euros in development funds – the source of which is yet to be determined – subject to cooperation on migration issues, turning cooperation into a matter of “reward” or “penalty”, depending on the commitment to controls and readmissions. This is a negotiation that, as we have already said, is happening at the expense of migrants, because the readmission agreements have legitimized the fast-tracking of deportation procedures, which leads to violations of asylum rights (by denying the right to individual assessment), or even to mass deportations. One only needs to think of the deal between Italy and Egypt, which permits repatriation within 24 hours, thus making an adequate assessment of individual cases impossible. But these policies could put Europe in a stalemate position, at the mercy of political calculation by the countries in negotiation. 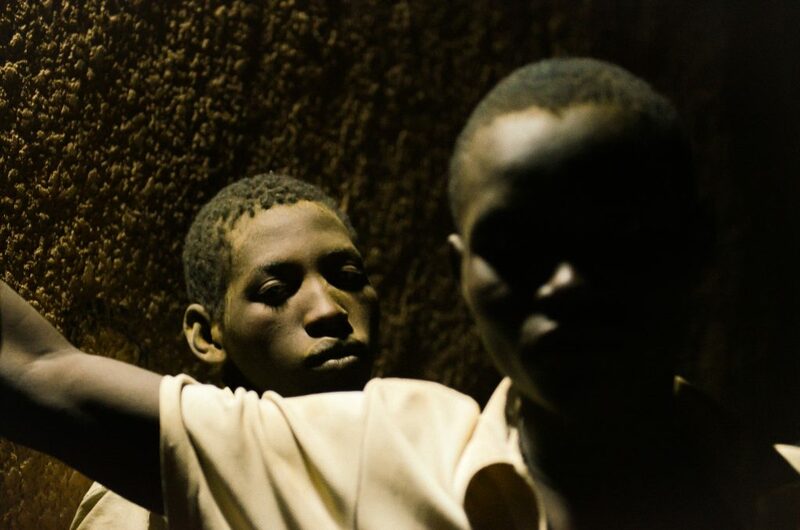 Sudan offers a truly eloquent example of policies carried out at the expense of refugees. We have chosen the Sudanese case, a country of origin that is simultaneously a country of transit for refugees from the Horn of Africa, because it enabled us to demonstrate the immediate effects of this strategy of externalisation and of negotiation. The same strategy of controlling the migration flow that Gaddafi had played so well in 2009 and which Erdogan is trying to play right now has been made available to one of the worst African dictatorships. Meanwhile, Italy and Europe seem to care very little that in the name of fighting “illegal” immigration, negotiations are underway with a cruel dictator, Omar al-Bashir, at the expense of Eritrean refugees. In the meantime, as Human Rights Watch has denounced, Sudan is conducting an “Eritrean hunt” to arrest and deport hundreds of refugees back into their country. 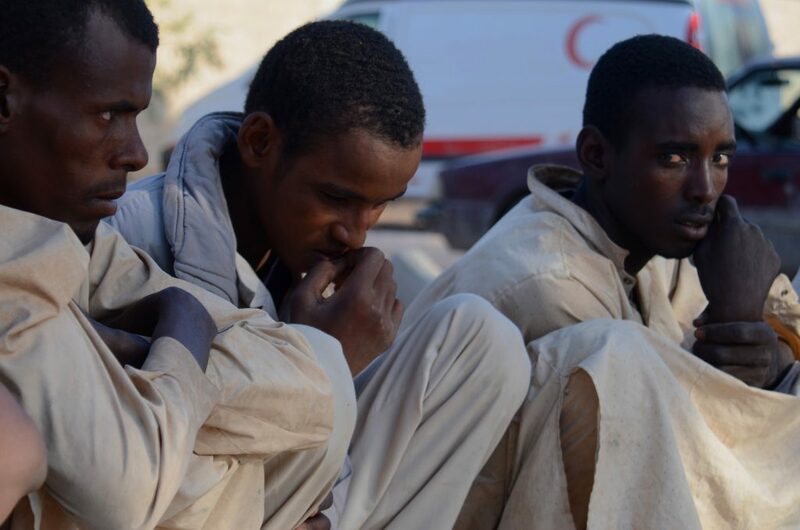 Eritrea is a ferocious dictatorship – something that Europe seems to have conveniently forgotten – where anyone who tries to flee is treated as a deserter and detained in inhumane conditions. In this way, Omar al-Bashir himself is somehow legitimized, like other dictators before him. This is something that must be pointed out emphatically. Within the externalisation process, Europe has no qualms about negotiating with the worst dictators, who are then treated as legitimate players in international politics. Another suitable example is that of the Gambia, which highlights the way Italy is pursuing an externalisation strategy even outside the context of the EU. While the agreements with countries like Sudan and Niger are part of a European strategy in which Italy plays a central role, the example of the Gambia is proof of Italy’s bilateral cooperation with the countries of origin of migrants arriving on our shores. The Gambia is actually a key country to Italian strategy, with Gambians constituting the third-highest number of arrivals in Italy. Despite several reports denouncing systematic violations of human rights by the dictator Yahya Jammeh, Italy has tried to deny that the Gambia is a dictatorship, so that it can treat all Gambians as economic migrants. In this context it is also important to highlight one last fact: in Italy, as well as in Europe, there is a lack of transparency surrounding these agreements and the attendant negotiations. These are all informal agreements, signed during initiatives like the Khartoum Process, with no control (and no ratification) from Parliaments, with obvious consequences in terms of risk of deviations. For instance, the agreements with the Gambia – in exchange for various forms of co-operation and police training, the Gambia undertakes to issue the permit required for repatriation within 48 hours of recognition of nationality by Gambian police on Italian soil – were signed by the Italian Chief of Police and his Gambian counterpart. This is, in short, “a clear example of externalisation of borders and controls that abandons any semblance of interest in human rights, sending people who have the right to stay away, at little expense, from our country and from the EU”. Download and read the complete ARCI report (available in Italian, English and French).